This is to inform all the students of the University of Port-Harcourt (UNIPORT) Basic Studies that the management of the institution has released their 1st semester, 2017/2018 academic session examination results. 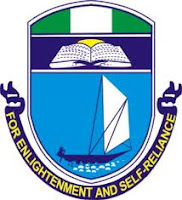 Check UNIPORT Basic Studies Result. 1. Go to UNIPORT Basic Studies result checking portal at http://resultcheckersbs.uniport.edu.ng/. 2. Enter your registration number in the required column. 3. Finally, click ‘Check’ to access your result.